INDIRECT Function in Excel (Formula,Examples) | How to use INDIRECT? How to use the INDIRECT Function in Excel? An INDIRECT function is not a regular user of a formula for us. It is one of the cool hidden tricks, which can enhance your productivity level. As the name itself suggests it is used to indirectly reference a cell in a worksheet function. An INDIRECT function consists of two arguments. One is Ref_Text that is a mandatory argument and the second one is [a1]. Ref_Text: It is a reference to a cell contains either An A1-style reference or An R1C1-Style Reference or A name defined by the name/formula or A reference to a cell in text form. This argument can reference to another workbook. [a1]: It is an optional argument. This argument is consists of two logical values, TRUE or FALSE. Whatever the value we got in Ref_Text show as A1-Style Reference if it is TRUE and shows as R1C1 Style Reference if it is FALSE. Note: If the last argument if omitted by default excel will take TRUE as the argument. An INDIRECT function in Excel is very simple easy to use. 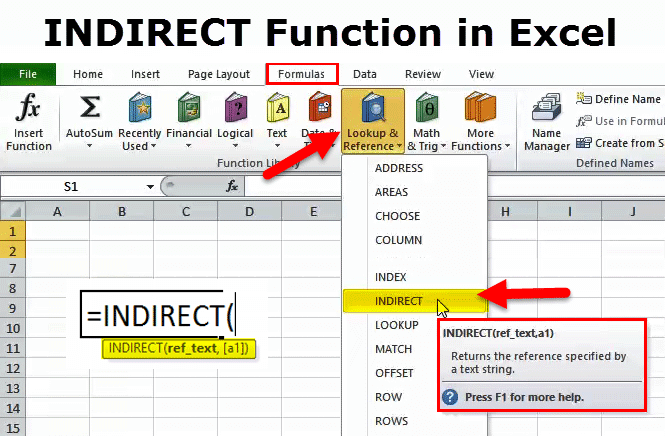 Let us now see how to use INDIRECT Function in Excel with the help of some examples. 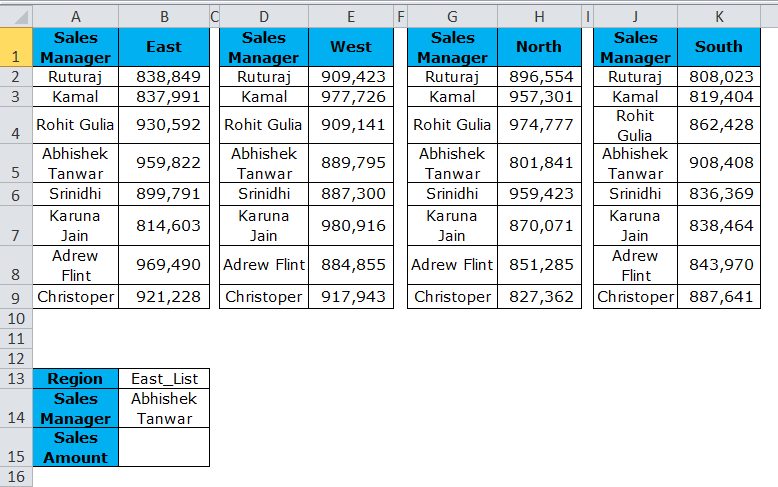 Below table shows the sales amount of different sales managers across 4 regions. In cell H4, we need to get the total of the region, which is mentioned in the cell G4. Combination of INDIRECT & Named Ranges is invaluable in this kind of context. Named Range will define the range of cells in a single name. Step 1: Create a named range for each region. Go to Formula tab and then click on Name Manager. New Name dialog box appears. Give the name as East. Note: Repeat this task for each region. Give the region name to each name manager. Step 2: Now apply INDIRECT function along with SUM function to get the total in cell H4. Note: Change the Region name in cell G4 to get the total of each region. Pro Tip: Create a drop-down list for Regions. Use the previous sales amount data of different sales managers across 4 regions. In cell H7, we need to get the average total of the region, which is mentioned in the cell G7. Now apply INDIRECT function along with an AVERAGE function to get the total in cell H4. With the help of below data, we need to find the Profit value of the last Item. In cell H2 last item’s profit. In this example, we will look into the R1C1 style reference with INDIRECT to return the last cell value. Here we used COUNTA function to get the last column number. 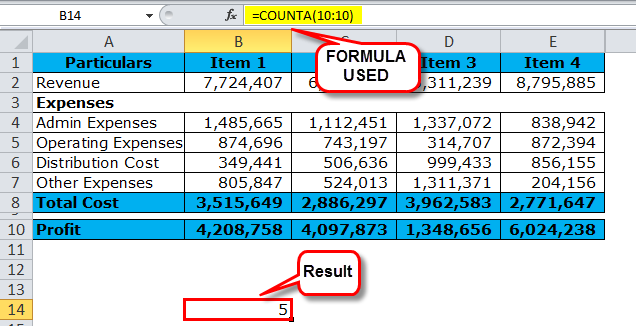 In the above formula, we have concatenated R10 (Row 10) with C10 by using COUNTA function. COUNTA will return the value 5 (last column number). Combination of both these will give “R10C5” i.e. Indirect will the value from Row 10 and Column 5. FALSE part of the argument will request for an R1C1 style of the cell reference. As the Item numbers keep increases this function will always give the last item’s profit value. 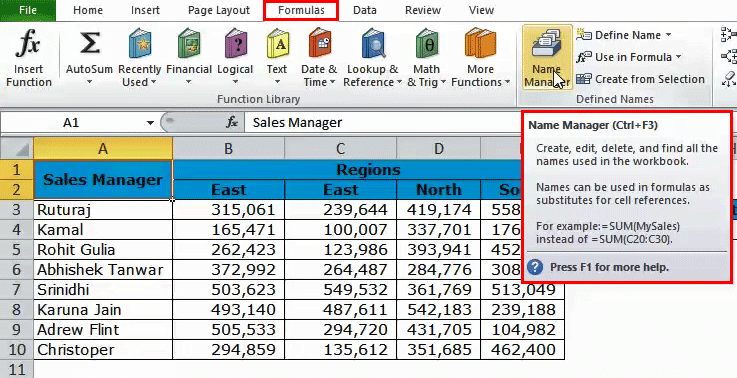 Combination of Indirect with Named Range & Vlookup will be a dynamic combination to have. It is necessary to include the example of Indirect with Vlookup. In the table below, apply the VLOOKUP function in cell B15 to get the sales value based on the cells B13 & B14. Steps involved in before applying Vlookup. Create 4 named ranges (refer example 1) for all the 4 regions. Please note apply named ranges including sales manager name. After the above two steps apply VLOOKUP function in cell B15. Since we have defined range list with East_List, West_List, North_List, South_List what INDIRECT function will do is it will give a reference to that particular region list. 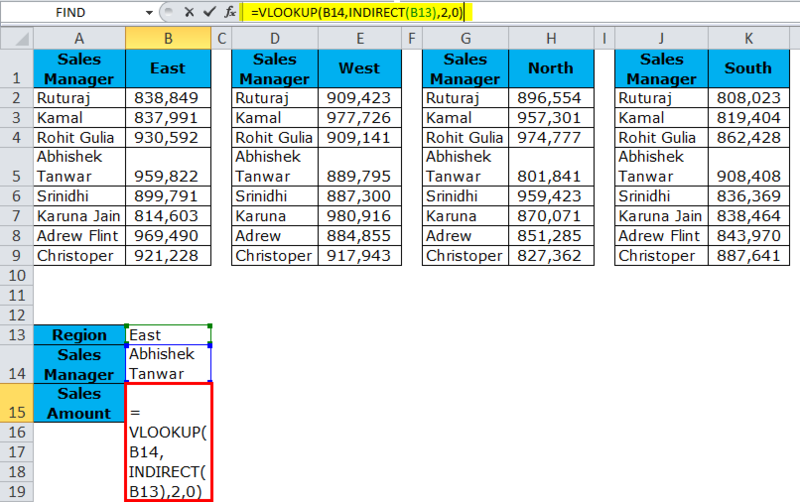 Therefore, Vlookup will consider that as a table range and will give the result for the respective sales manager. From the drop-down list, change the play with different region & different sales managers. Example #5 – Refer Worksheet with INDIRECT. An INDIRECT function can also retrieve the cell value from another worksheet. This example will give an explanation to this. 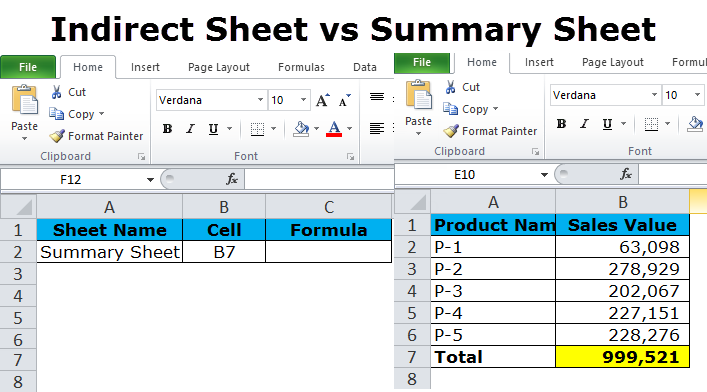 Indirect Sheet is the sheet we are entering a formula. Summary Sheet is the sheet where data is there. In Indirect Sheet enter the formula in cell C2. You need to give a reference to a cell B7 in the Summary Sheet. Below images will show different sheets in a single window. Here we have concatenated Summary Sheet in cell A2 of Indirect Sheet & and taking a reference to B7 cell from the Summary Sheet in Indirect Sheet. Note: INDIRECT Function is not the most often used formula. But could be a lethal weapon in extreme cases to save a lot of time and automate the cell value. Try to use regularly and you will get a hang on of it. The reference must be a valid reference otherwise; function will return a #REF error. 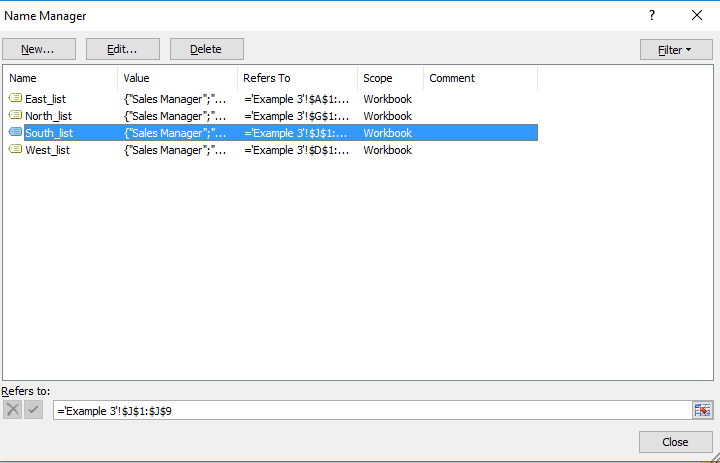 When it is referring to the other workbook, the respective workbook should be in an open mode to get the results. Generally, an INDIRECT function will return A1 style reference by default. When we are using [a1] reference as FALSE, we need to put 0 and put 1 for TRUE. 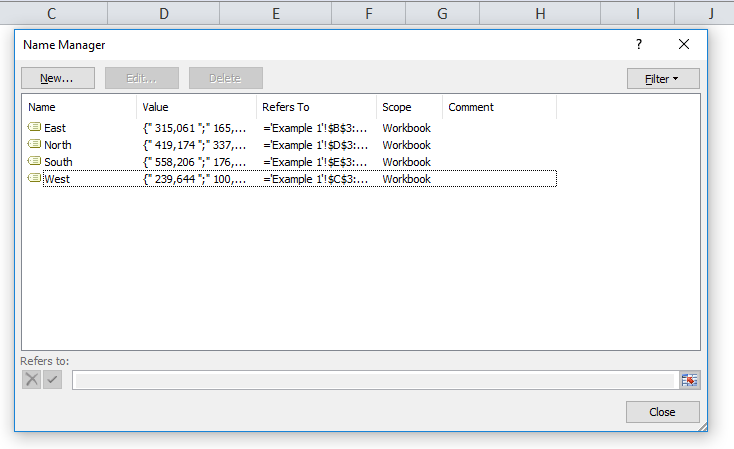 In R1C1 style reference, you can formulas like COUNTA to dynamically give a reference to the row or column. If the data increases, it will be a dynamic function and need not change every now and then.